The book teaches concepts and walks readers through how to identify potential land-use conflicts and make smarter land-use decisions using specialized methods and tools that complement Esri's ArcGIS. Redlands, California—The number of people living in the United States is expected to swell from 321 million today to just over 400 million by 2055, according to the US Census Bureau. Millions of additional acres will be needed for homes, schools, offices, and infrastructure to support the burgeoning population while conserving open space and preserving agriculture. Other countries face similar challenges. Technology is driving more of the decision making about which areas are suitable for urban development, agriculture, and conservation and how to resolve conflicts over land use. 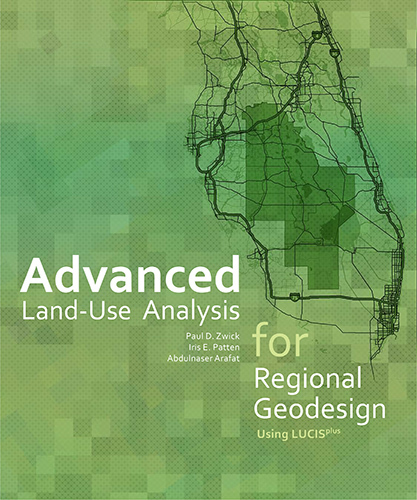 Advanced Land-Use Analysis for Regional Geodesign: Using LUCISplus, a new book published by Esri, teaches readers how to solve real-world land-use issues using geographic information system (GIS) technology from Esri and a land-use analysis process developed at the University of Florida. LUCIS stands for land-use conflict identification strategy, a process for analyzing land-use suitability and resolving land-use conflicts. The methodology was developed by Paul D. Zwick and Margaret H. Carr of the University of Florida. LUCISplus analysis tools are powered by Esri's geoprocessing framework, ModelBuilder, in particular. The book will help urban planners and GIS analysts who work in land-use planning and students enrolled in advanced GIS courses make well thought out land-use decisions rather than follow a plan as you go method. The LUCIS strategy places a high priority on input from citizens and incorporates community values into the plans. For example, one of the tools mentioned in the book is the A4 LUCIS Community Values Calculator. "The LUCIS modeling of community values produces various land-use visioning alternatives," the authors wrote. "LUCIS is a process of land-use planning and visioning, not prediction." Chapters cover many topics, including conflict analysis as a decision-making tool, land-use suitability automation tools, analyzing and mapping residential land-use futures, analyzing and mapping employment land-use futures, analyzing and mapping conservation and agriculture preservation and protection, and analyzing and mapping land use for natural disasters. Advanced Land-Use Analysis for Regional Geodesign: Using LUCISplus was written by Zwick, former director of the GeoPlan Center and a professor of urban and regional planning at the University of Florida; Iris E. Patten, an assistant professor in the School of Geography and Development at the University of Arizona; and Abdulnaser Arafat, an assistant scientist for the Shimberg Center for Housing Studies at the University of Florida. The book is a follow-up to the book Smart Land Use Analysis: The LUCIS Model (Esri Press 2007),written by Zwick and Carr, a professor in the Department of Landscape Architecture at the College of Design, Construction, and Planning at the University of Florida. A video about the book is available to watch. 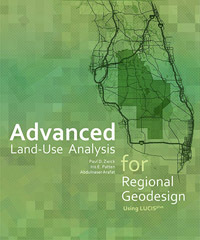 Advanced Land-Use Analysis for Regional Geodesign: Using LUCISplus is available in print (ISBN: 9781589483897) or as an e-book (ISBN: 9781589484337), 380 pages, $59.99. The book is available at online retailers worldwide, at esri.com/esripress, or by calling 1-800-447-9778. Outside the United States, visit esri.com/esripressorders for complete ordering options, or visit esri.com/distributors to contact your local Esri distributor. Interested retailers can contact Esri book distributor Ingram Publisher Services.